You may have faced DNS_PROBE_FINISHED_BAD_CONFIG error on your chrome or any other browser while accessing internet. This Error occurs when there is some issue with your modem or DNS server settings. As the error code name says this is a DNS related error. DNS is used to translate names of websites in their respective IP addresses. 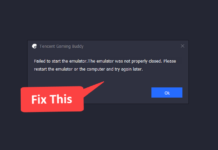 This error can be easily fixed by changing your DNS server, While there are also some other basic troubleshooting methods which may help you out in fixing this error. I have written three troubleshooting methods using which you can easily fix DNS_PROBE_FINISHED_BAD_CONFIG Error. First two are just normal troubleshooting steps which is usually used to troubleshoot common network errors. This method is used to renew your IP address, If there would be a problem in your IP address then this method will fix the issue. Press Windows + R to launch the run window. This command is used to release your IP address. After your IP has been released type ipconfig /renew to renew your IP address. Exit command prompt and the error would be hopefully solved. 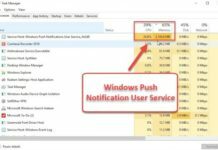 If there is a change in the DNS Server and your system is looking up for its local cache to navigate you to a website, Then this may cause DNS_PROBE_FINISHED_BAD_CONFIG error. So by flushing your DNS cache you can fix this error. Go to start and search for cmd. Open cmd, and type the following command. This command will flush the dns cache and the error will be fixed. Press Windows + R to open the run window. In the run dialog box type ncpa.cpl and click ok. This will open your Network Connections. 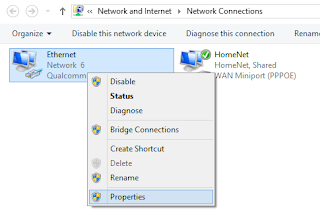 Right click your active internet connection and select Properties. The properties window will pop up, In the properties window double click Internet Protocol Version 4 (TCP/IPv4). The DNS address listed above is of google DNS. You can use whatever DNS server you want, But I personally recommend Google DNS server as it’s very fast. 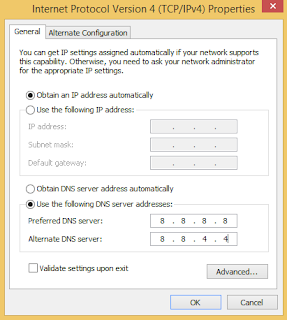 You can also checkout list of best DNS servers. This will definitely solve DNS_PROBE_FINISHED_BAD_CONFIG error. If the error still exist then try contact your ISP as the problem may persist there.